The GuidedQuest, LLC process begins with an in-depth analysis of your current & future income, assets, family goals and Estate Planning. Your situation, as it exists today, will be laid out on one easy to read page called a "Family Contingency Plan". This will allow you to know immediately if an un-anticipated crisis may lie in your family's future. 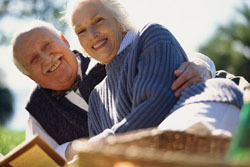 Inadequate Spousal Survivor Income, when best to collect Social Security, Required Minimum Distributions, whether to take Pension Survivor Benefits, anticipated Long Term Care costs, Medicare & Medicaid, and whether to Convert to a Roth IRA are just a few of the isses that will be addressed to maximize income and minimize taxes, avoiding a future crisis. Additionally, an inventory of legal documents such as HIPPA Waivers, Powers of Attorney, Living Will, Conservatorship, and a Trust or Will reveals what is necessary for adequate planning for incapacitation or death. If you are a widow or widower, or have property owned in another state, a 2nd Marriage, a child living in another state, a Spendthrift Adult Child, a disabled or divorced child or grandchild, your Estate Plan may require closer review to avoid probate and reach your family goals.